Hello! Don't let this arrangement fool your eyes. 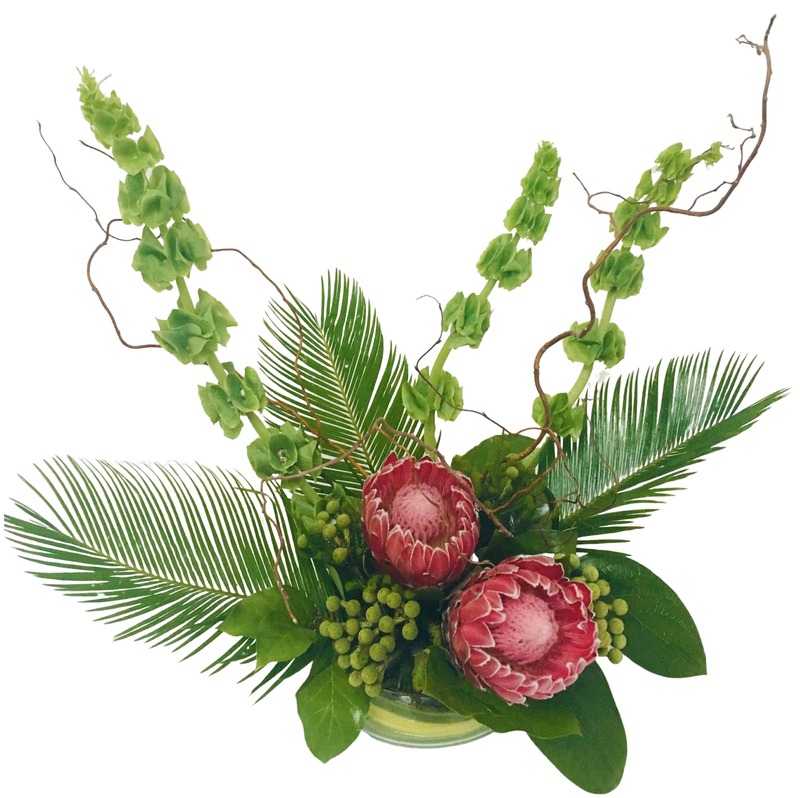 Can an Italian Florist do a Japanese Style Arrangement? I know you'll find here the answer is YES! This unique arrangement features King Protea, Thistle and Bells of Ireland placed in a decorative vase. This totally unique design is sure to add style to your home decor or an ere of confidence to your office! A great gift for welcoming a new neighbor or a new employee to the team!